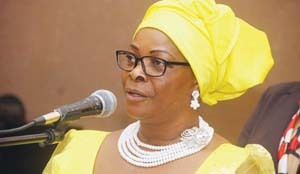 FIRST Lady Esther Lungu has said providing quality education at childhood level helps in bridging the gap between social-economic classes and accounts for quality living in adult life. Ms Lungu said early childhood education served as a critical equaliser as it enhanced psychological, social, physical, spiritual and moral development of children. She hailed the Government for spearheading the establishment of the Early Childhood Education (ECE) directorate under the Ministry of General Education in 2015 as it had for a long time been exclusively for the urban and well-to-do communities. Ms Lungu was speaking when she launched the ECE instructional materials at Lotus Primary School in Lusaka yesterday, where she was also crowned as matron of the ECE. “Our Government is now ensuring that this critical service should reach all parts of the country with the engagement of stakeholders at all levels,” Ms Lungu said. She said it was important to realise that ECE was a part of the continuum of early childhood development which focused on care, health, nutrition, early assessments and child protection. Ms Lungu recognised the special efforts of Parglory University in Kabwe and Zambia Open University for their unique voluntary works of establishing ECE support packages for vulnerable children. She appealed to the cooperating partners, business communities, civil society, faith and training institutions to strengthen multi-sectoral linkages in the provision of early childhood development services in the country. Education Minister Dennis Wanchinga said the ministry had managed to establish 3,367 ECE centres countrywide, recruited 1,355 ECE teachers and developed ECE course materials in seven local languages. Dr Wanchinga said this in a speech read for him by his Permanent Secretary Henry Tukombe. Parglory University president Egidio Machuta said research studies in the area of ECE had confirmed and shown that children who were exposed to quality ECE were better-equipped for the demands of the school system and improved academic achievement. Professor Machuta said investing in ECE had economic benefits as individuals tended to become productive in later life as they were able to reason and make rational decisions. UNICEF Zambia deputy representative Shadrack Omol said the Zambian Government had demonstrated leadership in the critical area of ECE through various measures that had resulted in doubling access to ECE from 14 per cent in 2014 to 29 per cent in 2016.